This is a follow-up to my previous post on Why Scotland? The starting point is that Scotland is a distinct and separate jurisdiction with its own legal, education, health, local government systems etc. The simple and basic answer is that we need independence in order to extend and complete our democracy. Scotland’s future is best in Scotland’s hands. It falls into the category of these self-evident truths, namely that the people who care most about Scotland are the people who live in Scotland. It doesn’t matter where you come from. Scottish independence is not about ethnic nationalism. The proposition is simple. Collectively, we, the people who live in Scotland will be ones who will do the best job, over time, of making Scotland a stronger, fairer and more successful country. Some people will ask why do we need to gain full independence, when we now have our own Parliament which is responsible for all of the areas mentioned above? It is worth noting in passing that most of those now championing devolution were among the most opposed to the creation of our current Scottish Parliament. While this has been a useful step towards accountability and democratic control, our Parliament has no real say in how much money it has to spend on these devolved matters. Scotland gets a sum of money, the famous block grant, from Westminster to spend as it thinks fit. But that block grant is at the whim and mercy of Westminster. If the UK government decides to spend more money on education in England, then Scotland gets a proportional amount of extra money. Whether we feel we need or want it at all. Conversely, when the UK government decides, as it is doing just now, to spend less in England, then we in Scotland get less. With no say in the matter whatsoever. A completely demeaning situation for a parliament and a government to be in. Yet this is the reality for us in Scotland. For the people of Scotland to have real democratic choice and control over these devolved matters, such as education, health etc, then we need to have full fiscal control over how much money we are prepared to raise in taxes to pay for our choices. Only independence can bring us this. With independence it will be the people who live in Scotland who get to decide how much tax to raise and how to raise it. What balance of taxes to go for – income tax, corporation tax, VAT and any other tax, such as a land tax, property tax or even a wealth tax. The choice and the responsibility will be ours and ours alone. While control over fiscal matter is for me at least the key issue, independence will bring many other advantages. In both defence and foreign policy for example, it is likely that Scotland would want to pursue a more co-operative and less aggressive approach to working with other countries. It is difficult to imagine a Prime Minister of Scotland lecturing and hectoring other countries. Or participating in illegal wars of aggression. 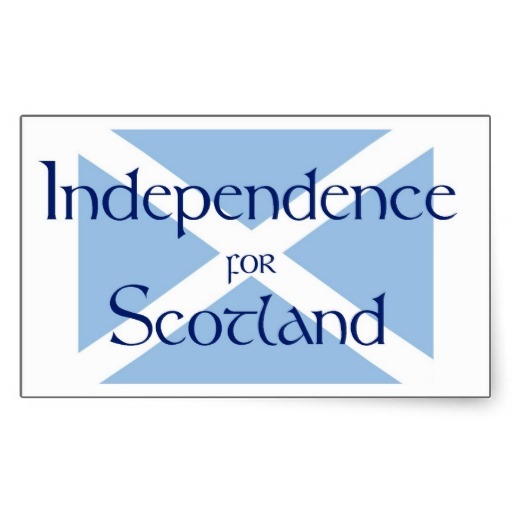 Independence is vital if we are to regain full control of our future for us and for our children and grandchildren. Why is it that of all the various parts of the UK, it is only in Scotland that there is a broad based movement in favour of independence. Why not an independent Yorkshire for example? The reason is quite simple really. Scotland as a distinct and separate jurisdiction exists and has continued to exist for centuries. Scotland has always had its own legal system, religious settlement and educational system. The origins of the Kingdom of Scotland are the subject of much historical debate. But by the early 900s there was an established Kingdom of Scotland. This Kingdom consolidated itself over the following centuries. To such an extent that it was able to fight and win the Wars of Independence in the early 1300s. Scotland remained a distinct and separate Kingdom right up until the Treaty of Union in 1707. Though this treaty did away with the then Scottish Parliament, Scotland still kept its own legal, religious and educational systems. This union with England to create the Kingdom of Great Britain worked well for both parties for many years. However as the role and powers of governments expanded over the last century or so, Scotland became even more distinct and separate from the rest of the UK. From the 1880s onwards separate Scottish bodies were established in areas as diverse as health, schools, local government, police and social work. In this context it is worth noting that the National Health Service, that icon of Britishness, was never a UK wide organization. From its inception the NHS has been organized and run on a territorial basis. So, in Scotland we have our own NHS Scotland. And of course in the world of sports, Scotland has its own governing bodies for football, rugby, hockey, golf etc. In each case they are all separately represented in their respective world governing federations. In football for example, Scotland, England, Wales and Northern Ireland all compete separately for a place in the finals of the World Cup. It is only for the Olympics that there is a UK wide team. All this is in sharp contrast to areas like Yorkshire. For all its attractions, Yorkshire has never had its own legal, religious, educational systems. There is no Yorkshire international football team. Not even a Yorkshire international cricket team. The only other part of the UK which could make a similar claim to Scotland for distinct and separate recognition is Wales. Though Wales was conquered by England way back in the 1200s. Since then it has been integrated into the English legal and administrative system. There is for example no Welsh legal system, nor educational system. However Wales has remained a different place and in sports, separate Welsh teams compete in international competitions. With the recent establishment of the Welsh Assembly, there is the basis for an independent Wales. As yet there is not much of a broad based movement for this. Scotland on the other hand has a history and culture of its own going back centuries. 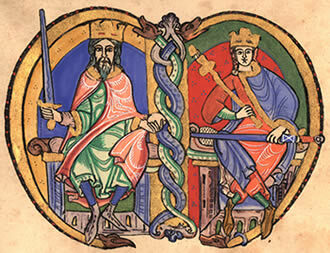 The key elements of this Kingdom survived the union with England – law, religion and education. All these remained and remain to this day different and separate from the rest of the UK. Other areas of government have since developed their own separate policies and practice. The advent of the Scottish Parliament has only made this distinctiveness even more widely known and appreciated. It is the continued and continuing existence of these distinct and separate institutions which makes independence such a natural next step for Scotland. The impetus for this post comes from reading a book on Home Rule by Alvin Jackson. He is professor of Modern History at Queen’s University Belfast. This is a very detailed and at the same time very partial look at Home Rule. The give-away is the subtitle – An Irish History, 1800-2000 (my emphasis). Jackson’s approach is more about the history of an idea – Home Rule for Ireland – rather than the events themselves. His focus on Ireland means that he takes virtually no account of similar developments in Scotland either in the 19th century or in the latter part of the 20th century. His decision to continue the period under review to 2000 is also revealing. It means in effect that he simply ignores the development of the Republic of Ireland as an independent state. With these reservations in mind, it is still a very interesting book. It offers a pretty detailed insight into the mindset of some of the key players in the rise and fall of Home Rule. Despite Jackson’s attempts to portray the existence of the Northern Ireland Assembly as some kind of success for Home Rule, the truth is rather that Home Rule failed. While Jackson does offer some reasons for this failure, he makes no attempt at an overall assessment of the movement and why it failed in its core objective. 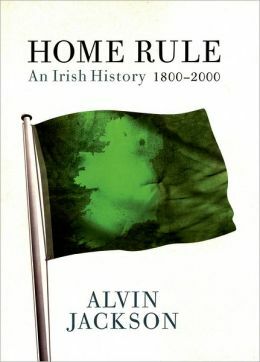 For Home Rule was proposed as a measure to keep the whole of Ireland in the UK. In this it failed utterly. But why? The failure of Home Rule is not alas some unlucky accident. Rather, the long drawn out death of the movement is just one more example of a continuing failure on the part of the UK. The UK establishment has a long and inglorious history of failing to make adjustments in time to new developments. This goes all the way back to the American revolution and continues to this day with the UK’s approach to Scottish independence and to the EU. There seem to be six phases to this self-deception. For most of the 19th century the UK establishment simply denied that there was any problem in the relationship between Ireland and the rest of the UK. The growing demand for a parliament in Ireland was just ignored as the work of a few extremist rabble rousers or the inconsequential demands of what would now be called the “chattering classes” The distress caused by continuing anti catholic laws and the economic suffering of tenant farmers were equally disdained and ignored. As the 19th century wore on, even some of the more die-hard upholders of the status-quo were forced to admit that “something had to be done”. Especially with regard to catholic emancipation and agricultural reform. But this something was always as little as possible and after as long a delay as possible. Which meant that the UK establishment never gained much in the way of credibility or support for its all too reluctant acts. By the latter quarter of the 19th century denial and delay were no longer feasible options. The strength of the Irish party in the House of Commons meant that UK governments were often dependent on the votes of Irish MPs. And the overwhelming majority of them were committed to the establishment of a parliament to deal with Irish matters – Home Rule. Unfortunately this led to a split within the UK establishment. While the Liberals under Gladstone did, albeit reluctantly, accept the need for an Irish Home Rule parliament, the Conservatives did not. In fact, ever since, the Conservatives have been vehemently opposed to any and every proposal for Home Rule or devolution as it is now termed. With the UK establishment bitterly divided there was no coherent attempt to persuade the general public of the benefits of Home Rule. Despite some talk from the Liberals of a Scottish parliament – Home Rule for All – nothing of substance ever came of this. There was never any attempt to place Home Rule for Ireland in the wider context of improving the government of all of the UK. In the end the various Home Rule bills which came before parliament satisfied no-one. Opponents saw them as giving in to Irish pressure, while most of the Irish MPs regarded the fine print as onerous and keeping Ireland in a second class status. Growing disenchantment with the failure of the reformist Irish party to secure Home Rule within in the UK, meant that more and more Irish people began to support a complete break with the UK. Faced with what they regarded as an intransigent UK establishment these forces staged the celebrated Easter Rising in Dublin in 1916. Though crushed, the brutal reprisals by the UK government simply persuaded even more Irish people to reject any compromise with the UK. In the general election of 1918 a clear majority of Irish MPs were elected on a commitment to establish an Irish Republic. This they did in the following year. The UK government opposed this and tried to destroy the new state by going to war against it. However despite much bloodshed, the UK eventually gave in and recognized the new Irish Free State in the 1921 Anglo-Irish treaty. Not all of Ireland was to be part of this new state. Six of the northern counties, those where the overall majority was made up of protestants, were granted their own Assembly. This was the Home Rule parliament that Jackson refers to in his book. Thus UK self-delusion and intransigence brought about the worst possible outcome for both the UK and for Ireland. A split Ireland and the complete loss to the UK of most of Ireland. The UK and the new state had a turbulent relationship in the first half of the 20th century. The Free State remained within the British Commonwealth and the British Monarch remained Head of State. There were also various economic disputes including a trade war. During the 2nd World War Ireland remained neutral, another cause for dispute between the two states. It was not until 1949 with the implementation of the Republic of Ireland Act that the current status of Ireland became established. All links to the UK and the crown were abolished. The Republic of Ireland was here to stay. The final phase in the UK’s tortuous relationship with Ireland has now been reached. The two countries are now best of buddies. A formal visit by the Queen to Dublin and joint Prime Ministerial statements both confirmed the close bonds which link the two states and the degree of friendship and co-operation between them. The importance of this outline of the UK’s tortured relationship with Ireland is that it is not unique. Something pretty similar could be written about most of the independent countries that were once upon a time part of the British Empire. The UK’s special relationship with the USA for example was a long time a coming. But come it did. Likewise with India, the new South Africa and most of her former territories, the UK sooner or later adjusts and ends up as the best of friends with former subjects or enemies. We can only hope that this pattern, without of course any bloodshed, will be repeated with Scotland. The UK has already passed through the denial, delay and the too little, too late phases. With a yes vote in 2014 there is every reason to hope that the rest of the UK will very quickly move to establishing the kind of close and friendly relations with an independent Scotland as she has with Ireland. What’s the Big Deal with Borders? It is not at all clear why George Osborne and his Unionist colleagues and cheer leaders in the media have this obsession with borders. Other that is, than to issue yet more unsubstantiated scare stories. All countries have borders and yet international trade, capital and blabour flows have increased substantially since the end of the Second World War. In Europe in particular there has been a steady growth in international trade etc. Even though there are now more borders than before. So borders cannot simply be written off as all bad. The most interesting case is probably Switzerland. With four international borders to contend with, Switzerland by Mr Osborne’s reasoning, should be one of the poorest countries in Europe. Instead it is one of the richest despite its four international borders. It is not as if these borders were high mountains or other impassable features. Most of the border between Switzerland and Italy, France, Germany and Austria is more or less completely flat and shows no distinguishing features. For centuries the Swiss have successfully traded across all four borders and have developed a very successful economy to boot. A particular case in point is the Swiss city of Basel, which not only has one international border to contend with, but has two – the Swiss-German and the Swiss-French. Just how do they manage? To make matters even more confusing the Baslers don’t even have their own airport. They have to share one with the French city of Mulhouse. The airport is located in France. How dreadful! Even worse, one of the city’s major train stations is German – the Badische Bahnhof, which is the terminus for German state railways. The other main station is a joint French and Swiss station. The Basel Regional S-Bahn, the commuter rail network connecting suburbs surrounding the city, is jointly operated by the Swiss, German and French railways. Oh how complicated all this must be. Worries about foreign interference and currency uncertainties. It simply beggars belief that with all these problems Basel is one of the richest places in Switzerland. It is also home to many of the world’s most famous chemical companies, such as Novartis and Hoffmann-LaRoche. Borders and currency exchanges do not seem to bother them. What is perhaps even more relevant for Scotland is that the three countries around Basel have used their differences as a marketing tool to promote the whole area. Sometimes known as Dreiländereck in German or as The TriRhena region. It even has its own tourist website, which you can visit here. The message could not be clearer – borders do not need to be a barrier to trade, capital or labour flows as Basel in particular and Switzerland in general show. Why should the Scottish-English border be any different? Why would patterns of trade that have developed over centuries suddenly cease? Especially when the SNP has indicated that it wants to maintain the existing currency union with the rest of the UK. With goodwill on both sides there is nothing in the experience of Switzerland and the rest of Europe to suggest that Scottish independence would lead to damaging economic consequences. The key here is goodwill on both sides. The SNP and other pro-independence parties have clearly indicated a willingness to co-operate with the rest of the UK in a spirit of friendship and goodwill. It is only representatives of the UK government and Unionists who have called into question the willingness of the UK to co-operate with an independent Scotland. In the interests of clarity we should be told the truth. Will the rest of the UK work with an independent Scotland in a spirit of friendship and goodwill? As it already does with the Republic of Ireland. If the answer is yes, then there is nothing to worry about. On the other hand if the answer is no, then why would Scotland want to remain in a Union with people who want to treat us as enemies? Now that I am back in Switzerland for our annual holiday, it is a good time to reflect on the possible links between Switzerland and Scotland. At least as far as the referendum on Scottish independence is concerned. For the continued existence of Switzerland must be a galling afront to the members of the Better Together campaign. These Unionist are forever asserting that Scotland needs to be part of a bigger country – the UK – in order to prosper. Yet never a word is mentioned about Switzerland and how it continues to survive and prosper as a small independent state. Switzerland is like Scotland a relatively small country in both landmass and population. In fact Scotland is almost double the size of Switzerland in area – 78,000 square km to 41,000 square km. On the other hand Switzerland has a much larger population – almmost nine million to Scotland’s five million plus. Overall not much between the two countries. The current constitutional set-up in Switzerland only dates back to 1848. Even its formal origins only go as far back as 1291, when the three very small Alpine cantons came together in a defensive league. By then Scotland had existed as a successful kingdom for some 400 years. Yet Switzerland is undoubtedly very rich and successful. It is also on the whole a country admired throughout for its contributions to peace and harmony in the world. How does Switzerland manage all this, all on its own? Switzerland does not appear to have much in the way of natural resources, certainly nothing like the oil and gas from the North Sea. Its main strength seems to have been its location – as a transit zone for trade between Italy and Germany. It has since become famous for various industries – watches, chemicals in particular – and of course banking and tourism. In addition many international organizations have their headquarters in Switzerland. The Red Cross, FIFA and UEFA are just a few examples. Even the UN has a substantial presence in the country. Perhaps its status as a small independent state is a key reason why Switzerland is so attractive to international bodies and to international companies? Perhaps Unionists might like to reflect on this before lecturing us all with yet more Better Together assertions. But the biggest challenge to all Unionists is why Switzerland exists at all? 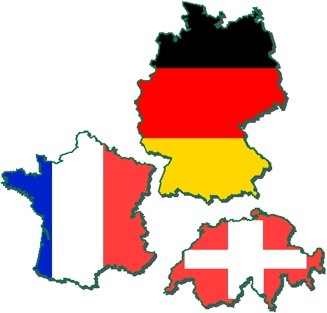 After all the country is made up of three major language groups – Germans, French and Italians. Why on earth do these three groups not know that they would each be much better off by joining Germany, France and Italy respectively? Surely it is obvious that with the support of three of the biggest and most powerful countries in Europe, the various Swiss peoples would feel much more secure and prosperous? Alas for our Unionist friends this is all too obviously not the case. In fact the exact opposite may be the reason for Switzerland’s continuing success. As a small independent state, its citizens are able to decide for themselves what is in their best interest and not have that decided for them in Berlin or Paris or Rome. And each language group can still participate in the relevant social and cultural unions that continue to bind them with German, French and Italian speakers everywhere. So in reality, it is the Swiss who get the best of both possible worlds. They have their political and economic independence and get to share in the wider social and cultural world of their fellow language speakers. Sounds like a very good deal to me. 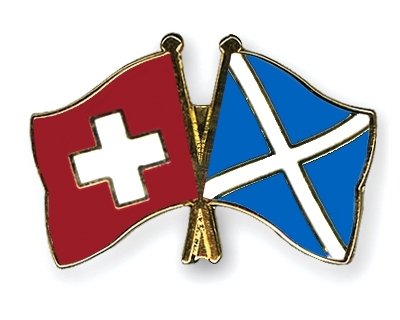 Independence offers all Scots similar benefits as the Swiss enjoy – the right to decide for ouselves what is in our best interest and at the same time to continue with our social and cultural links with people in the rest of the UK and indeed in the wider English speaking world. Independence = Better For All.